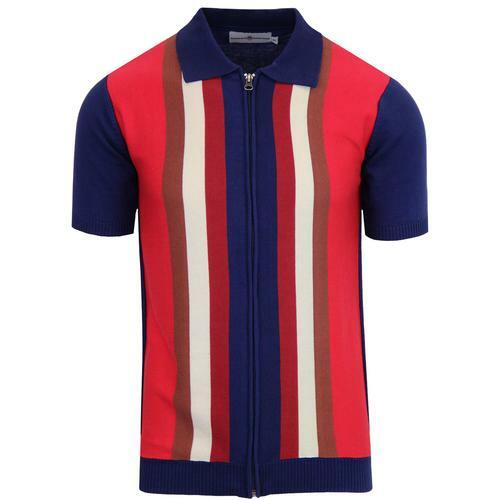 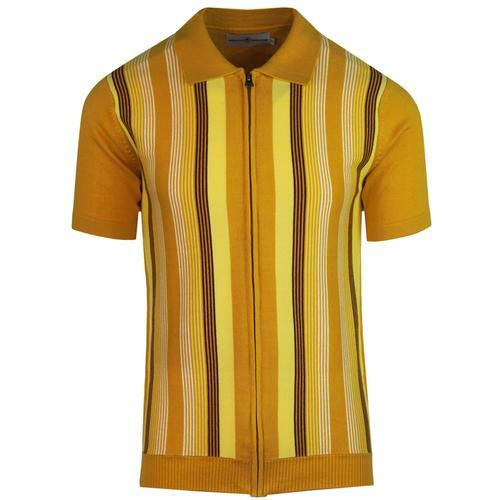 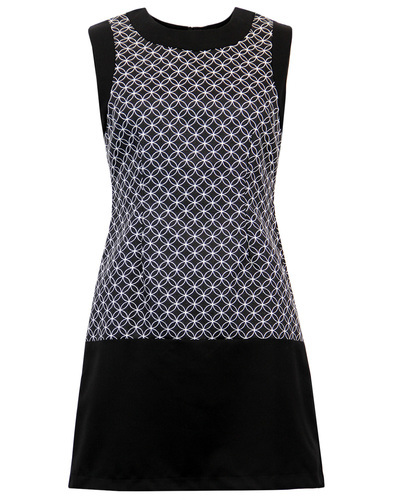 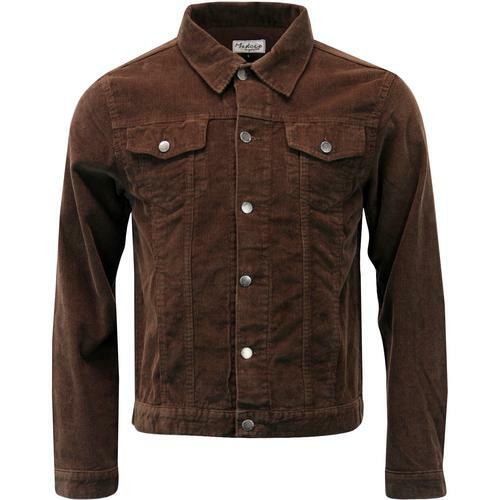 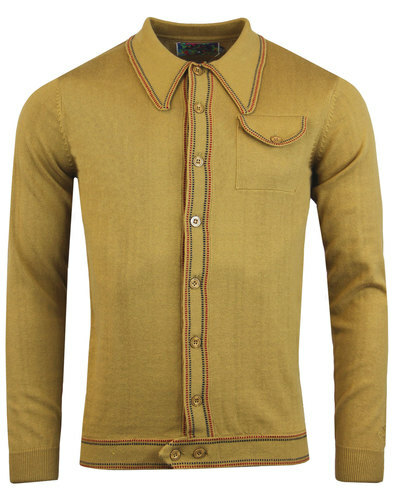 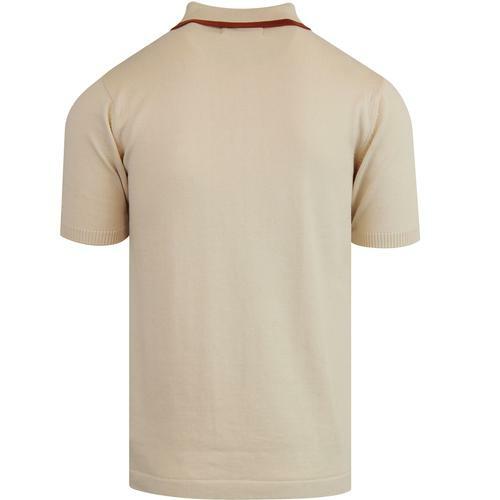 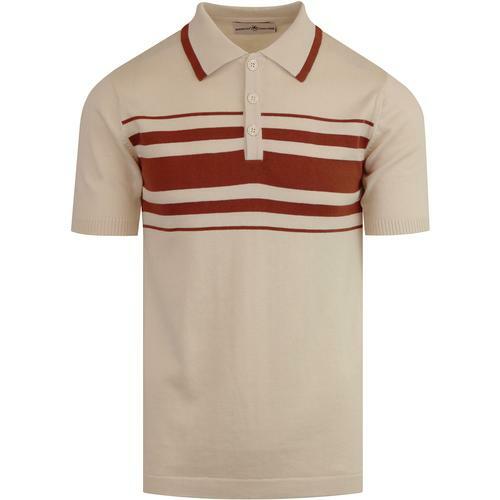 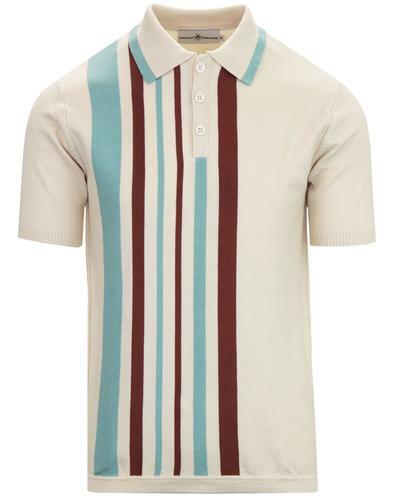 Aftershock men's 60s mod knitted polo top in birch. 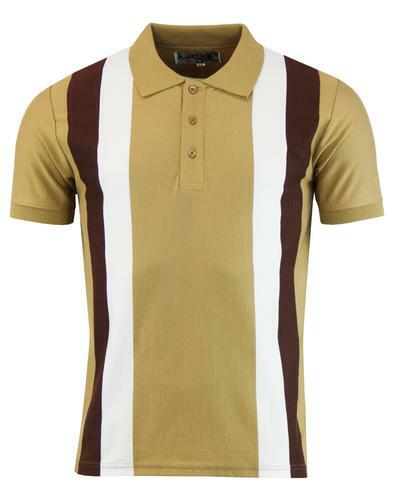 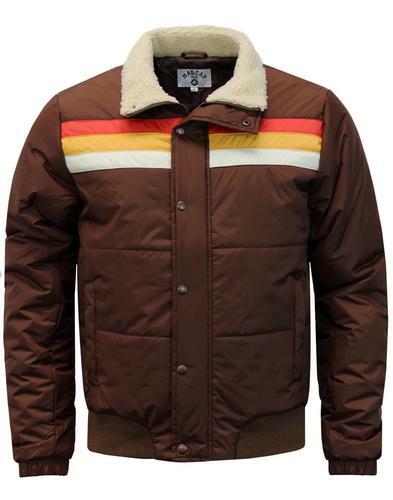 Retro stripe panel detaling to the chest in brown. 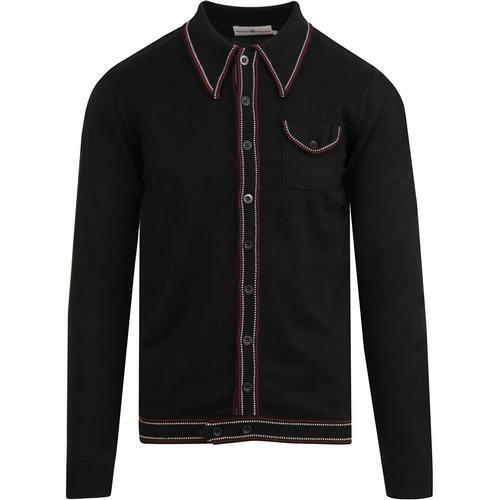 Subtle signature buttons to placket. 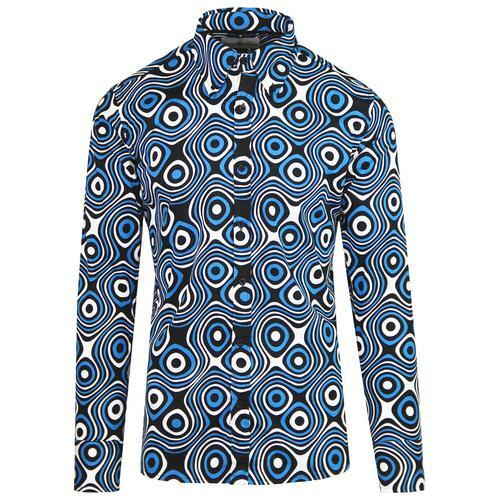 Madcap England Octopus embroidery to left sleeve. 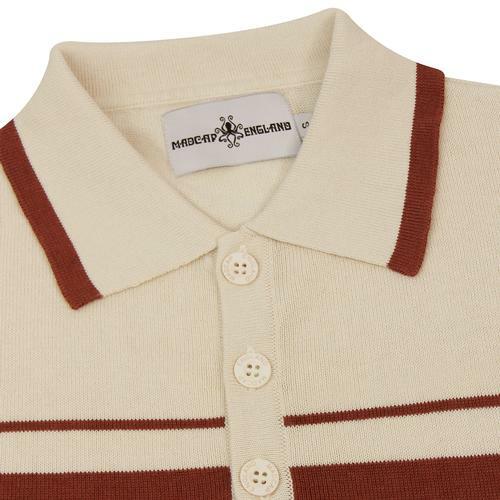 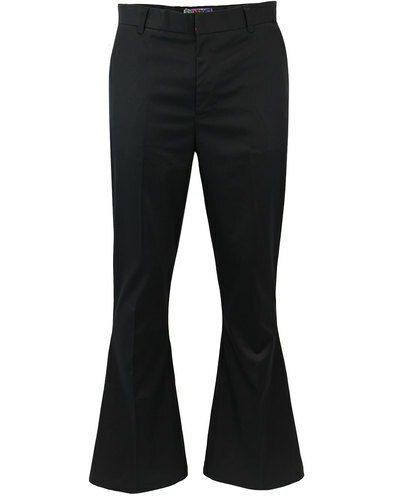 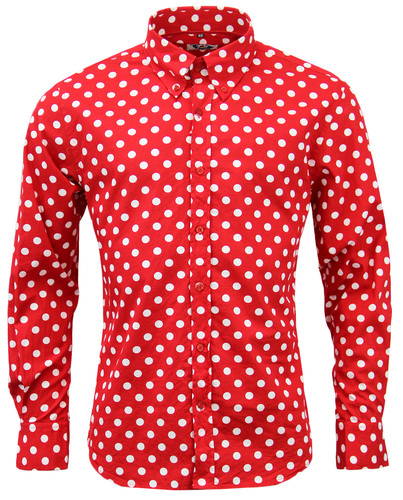 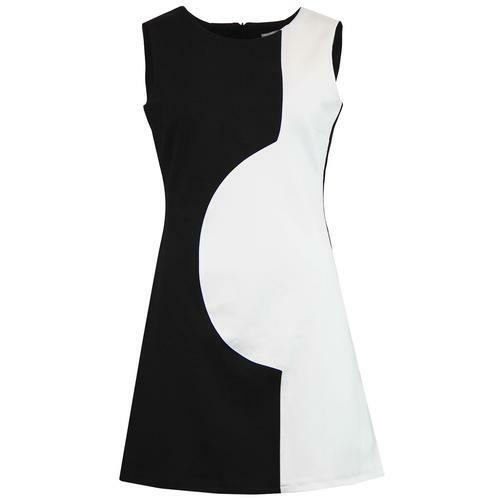 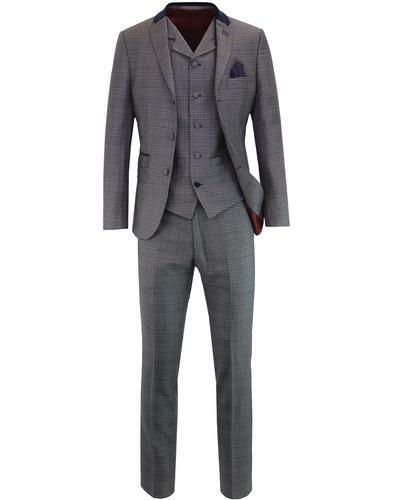 Retro tipping to the mod polo collar.